Former President George H. W. Bush shaved his head to support a two year old battling leukemia. The boy’s father is on Bush’s staff. 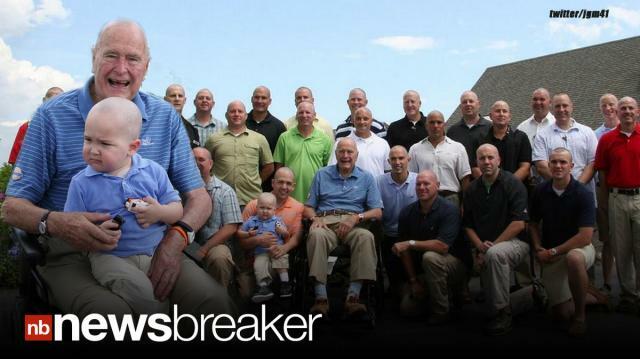 It’s not just the former Commander in Chief who took a razor to his scalp; Bush’s entire secret service team also shaved their heads to support two year old Patrick.